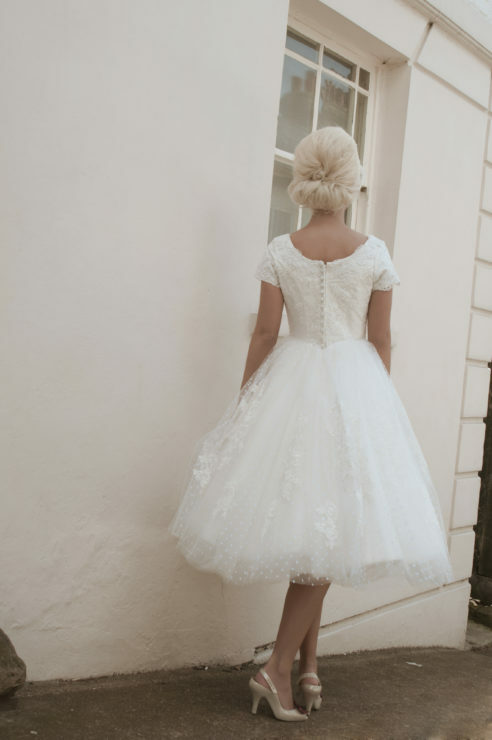 Swiss dot tulle and lace tea length wedding dress. Available in white, ivory, champagne, rose and peach with ivory spot and lace. Array of additional colours are available via consultation. HOM020 has been successfully added to your shopping bag.